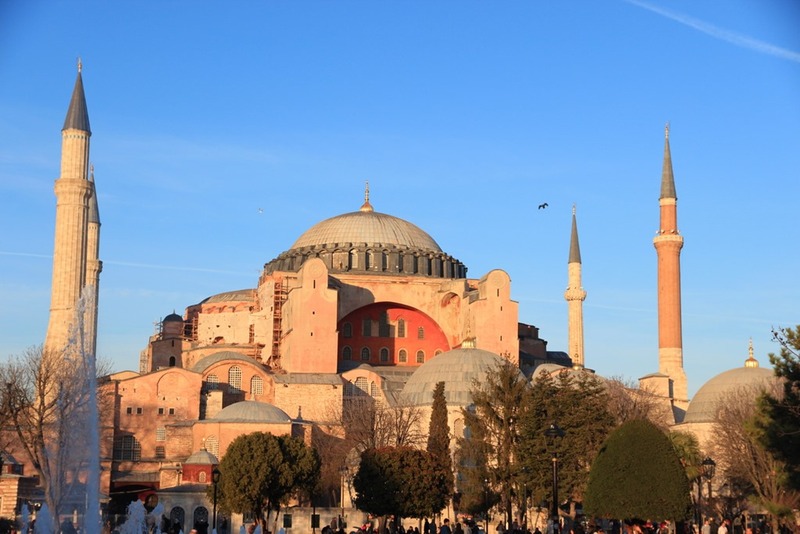 When Mr. Selfish and I landed in Istanbul, one of the first things we did was take a taxi to the Hagia Sophia. I had been compulsively checking the weather forecast for Istanbul the week prior to our trip. Unfortunately, it was to be rainy and cloudy the majority of our stay in Istanbul – except for that first day. So despite our jetlag, we immediately left our hotel room and headed for the Hagia Sophia. We weren’t disappointed. The sun was gloriously shining, and the view of the Hagia Sophia was amazing. There are several benches and even a fountain in front of the Hagia Sophia. You can just sit and enjoy the view.